Clth, 9 x 12 in. / 208 pgs / illustrated throughout. 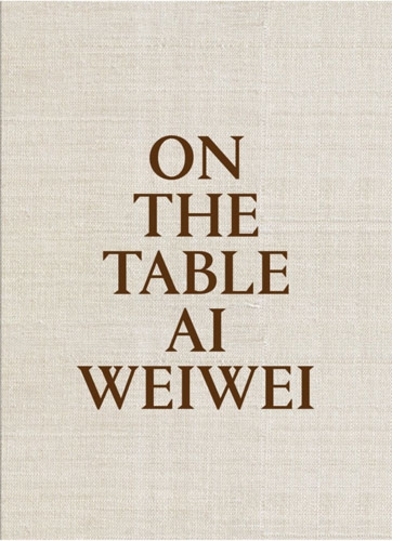 Ai Weiwei: On the Table surveys the full scope of Weiwei's career, from his early days in 1980s New York to his present-day status as the best-known and most influential Chinese artist in the world. 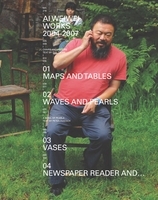 Work by this media-savvy activist calling for greater freedom in China can now be found in leading contemporary art museums and collections worldwide; the image of his taunting, irreverent middle finger imposed atop touristy monuments and landscape photos has become ubiquitous, his sunflower seed installations iconic. This volume includes previously unseen new work, as well as a range of key pieces from the past 35 years, presented in a beautiful clothbound format. 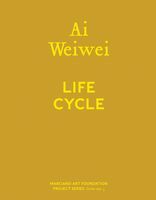 Ai Weiwei (born 1957) spent his youth in exile, returning to Beijing at the end of the Cultural Revolution in 1976. He lived in the US, mostly in New York, from 1981 to 1993, and in the wake of his exposure to the work of Warhol, Duchamp and Johns, began altering readymade objects and creating conceptually driven art. In 2008 he was commissioned as the artistic design consultant for the Beijing National Stadium built for the Summer Olympics. 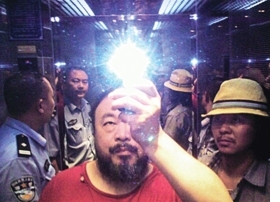 The artist has openly criticized the Chinese government and was famously incarcerated for 81 days in 2011 on no official charges. Featured image is reproduced from Ai Weiwei: On the Table. 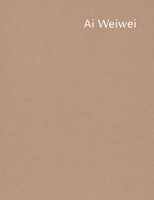 Ai Weiwei (b. 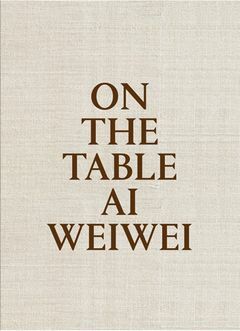 1947) is one of China's most famous, influential and controversial artists. 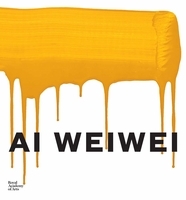 Known equally for his work and his activism, Ai makes art that is both experimental and monumental in form—and daringly critical of the Chinese government's human rights abuses. 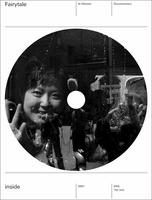 Ai's Study of Perspective series (1995-2011), featuring the artist's middle finger flipped up in the foreground of photographs of world tourist sites and national monuments, is cheeky and irreverent, while his investigations of the 2008 Sichuan Earthquake are hauntingly tragic and have carried dire personal consequences. FORMAT: Clth, 9 x 12 in. / 208 pgs / illustrated throughout.